In the glorious ‘80s, freestyle skiing didn’t mean half-pipes and slopestyle. 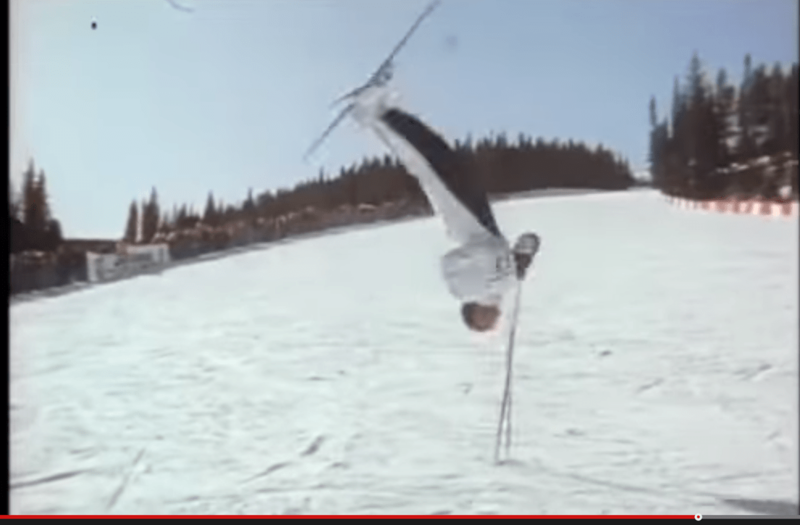 It meant aerials, moguls and this: Ski ballet. In fact, in some competitions you had to compete in all three disciplines to be considered a freestyle skier. It took a unique athlete to do something as gnarly as aerial skiing and something as absolutely ridiculous as this. But no matter how adrenaline-pumping ski ballet is, there has to be plenty of torn ACL’s and damaged shoulders from it. The highlight of all that hard work? Getting made fun of by the king of cheesy narration himself, Warren Miller. While ski ballet was a demonstration sport in the 1988 and 1992 Winter Olympics, thankfully it didn’t make the cut. And it’s no surprise that many skiers around the world rejoiced when the International Ski Federation put the final nail in the coffin by ceasing all formal competition in 2000. RIP ski ballet—you’re hardly missed.